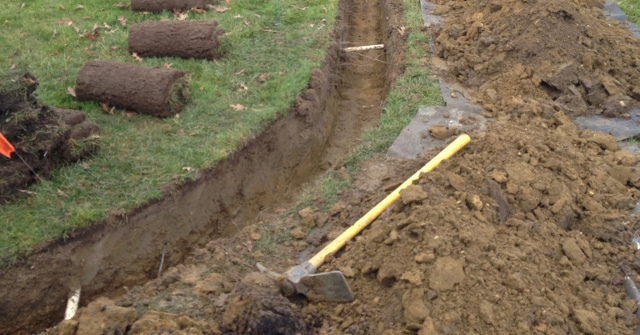 Drainage systems are used to prevent ground and surface water from gathering and destroying backyards. They also stop water from entering or damaging building foundations. 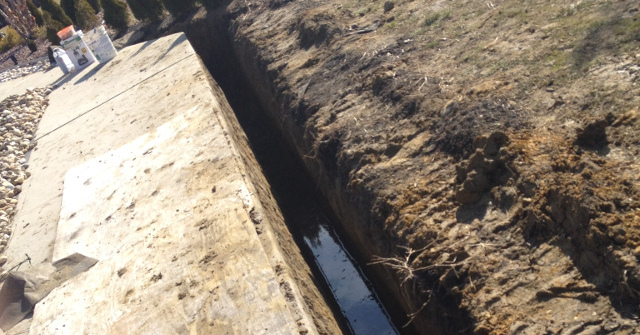 Drainage systems can also be used to redirect water from a septic drain field. 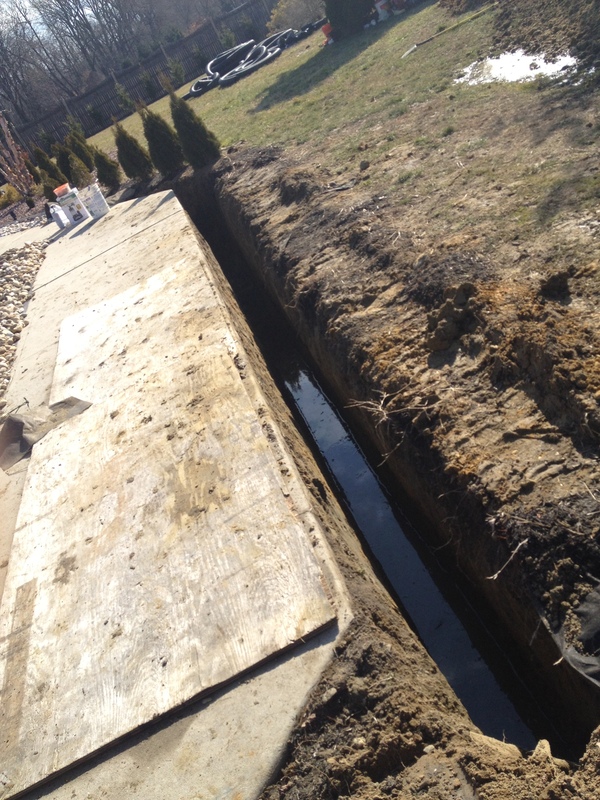 Drainage systems are also used behind retaining walls to relieve ground water pressure. Call us today before your water issue gets out of hand. If you are concerned about unwanted leaks and flooding when it rains, you aren't alone. A high percentage of all basements will experience some sort of water penetration flooding or recurrent leaks. The sump pump works by pumping out the water which has accumulated in a specially created pit. It also will clear moisture that has gathered over the years which can equally be as damaging. 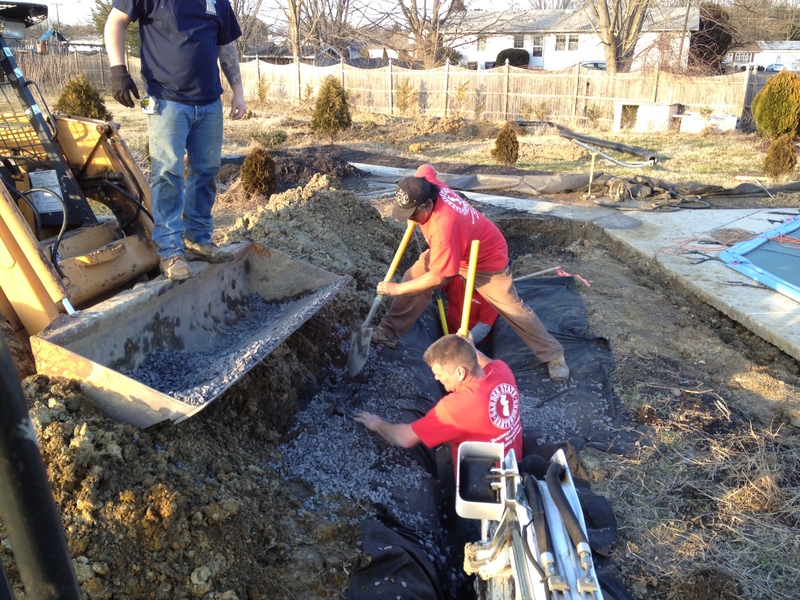 We here at Garden State Earthworks Inc. have installed sump pumps for every type of water issue that exists including exterior pumps to discharge from different elevations, to revetment of holding tanks to allow gravity feed of water. Give us a call for a free consult before your problem gets to a monumental degree and leads to additional problems. 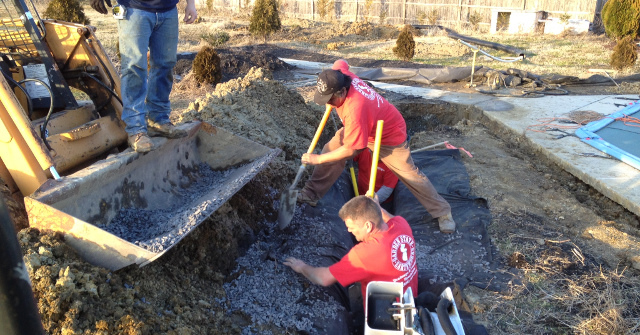 We install a variety of holding and revetment tanks to allow for gravity fed systems or discharge of any type of water excess. When water gets behind the liner of a pool through seepage of ground water, overfilling or flood, the water pressure equalizes on both sides of the liner and the liner can move. This is commonly called a floating liner. Once the water source has been removed, the water will drain away. Call us today to help solve your problem so that you may enjoy your pool this summer! There are many types of soils and each has their preferred uses and limitations. 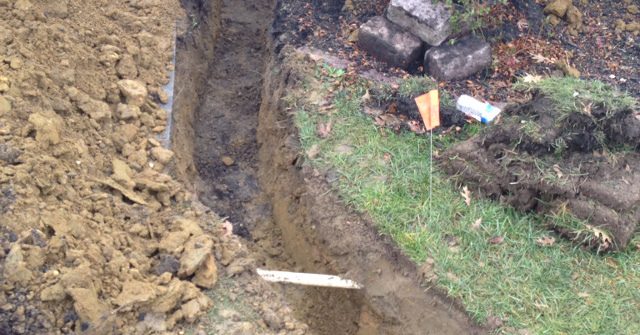 Some soils are well drained and ideal sites for homes with basements. Other soils are heavy clay with high ground water tables that can cause septic system failures and flooding in homes with basements or just unsightly water to create puddles that stop your children from playing or Fido from coming into the house with muddy paws. 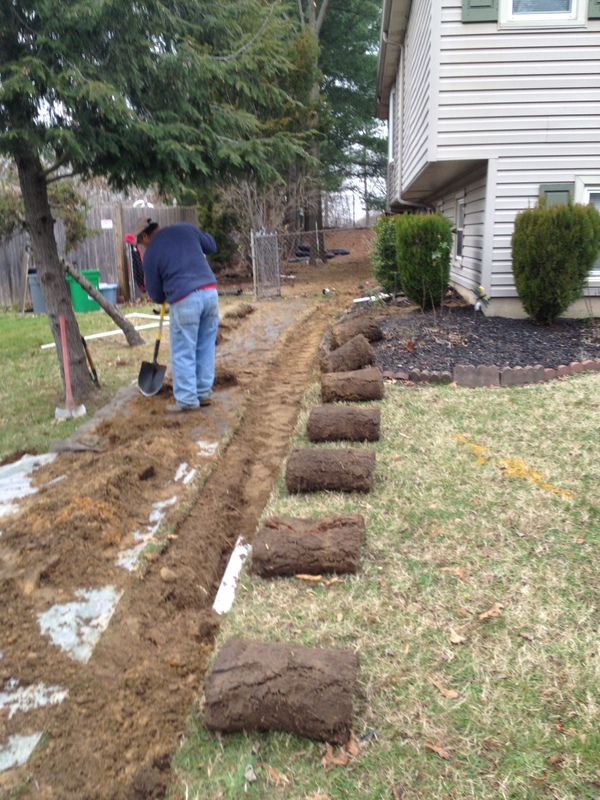 We at Garden State Earthworks Inc. have seen or heard almost every problem imaginable. 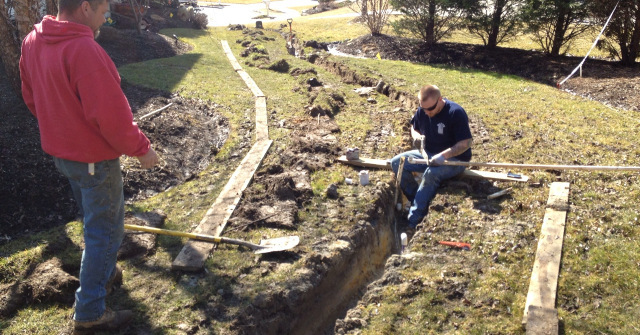 We can identify and solve your drainage issues and help you control erosion of your home site. This is an important issue in the maintenance of your property. 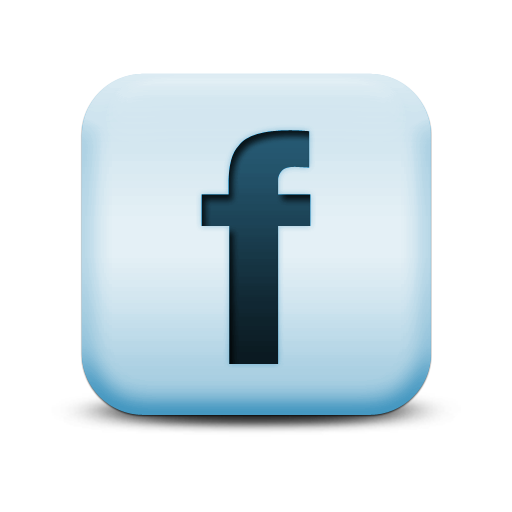 Call us today with any and all concerns. We will make it work. Does your basement flood every time there's a storm? Do your dry-wells overflow into your parking lot, pushing away customers? Is excess water making your yard soggy? If you answered yes to any of these questions, you've come to the right place. 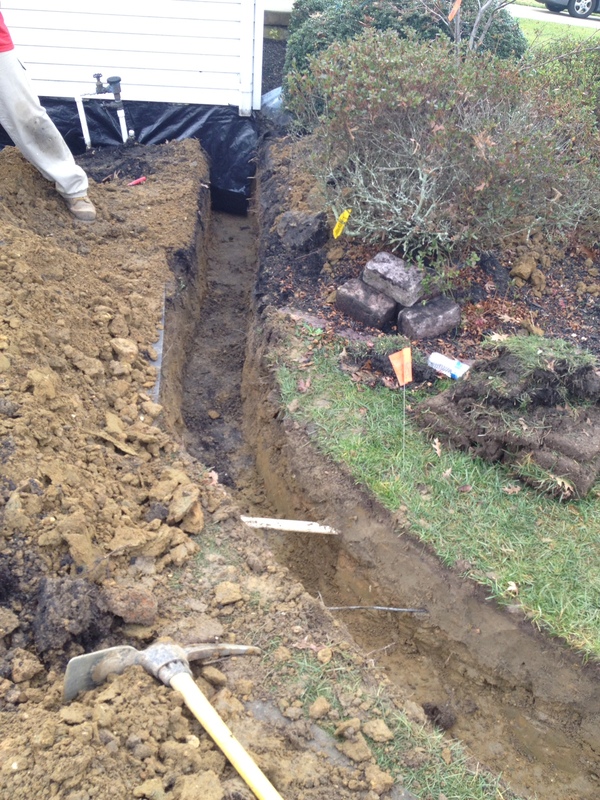 At Garden State Earthworks we know that excess water is more than a nuisance -- it can lead to hazards such as mold, mildew and structural damage. That's why we go above and beyond the call of duty to create customized drainage systems that prevent any future flooding or surplus groundwater. 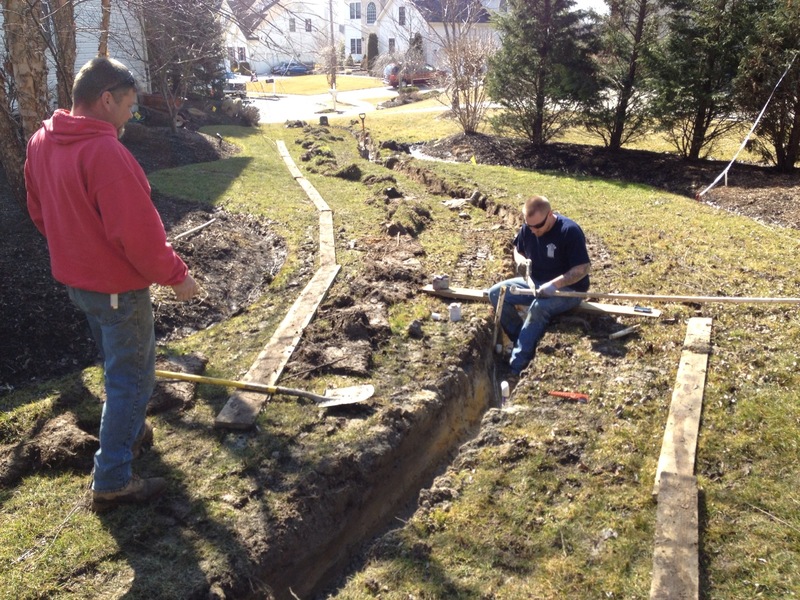 Garden State Earthworks was founded on a commitment to provide professional and fair-priced drainage service and, 45 years later, we are proud to say that it has been a successful strategy. 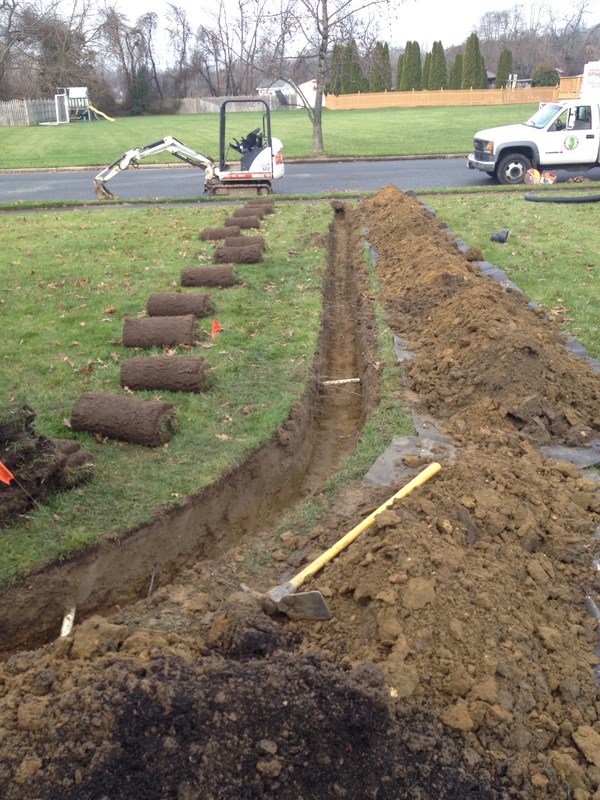 So whether you want to safeguard your lawn, home or business from water damage, count on us to protect your investment with a drainage system that will work right the first time, and every time. 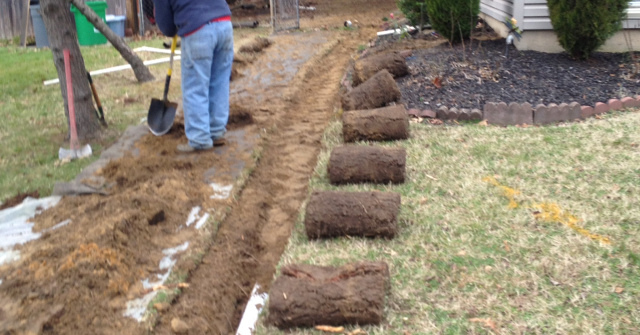 For more information or to receive a free consultation, call the drainage experts at Garden State Earthworks today. Same day emergency service available. We would be happy to solve your drainage problem!